The following article was published in the Newcastle Herald on 13th September 2017. A SHIP designed to deliver primary health care, dentistry and other services in Papua New Guinea has set sail from Newcastle. 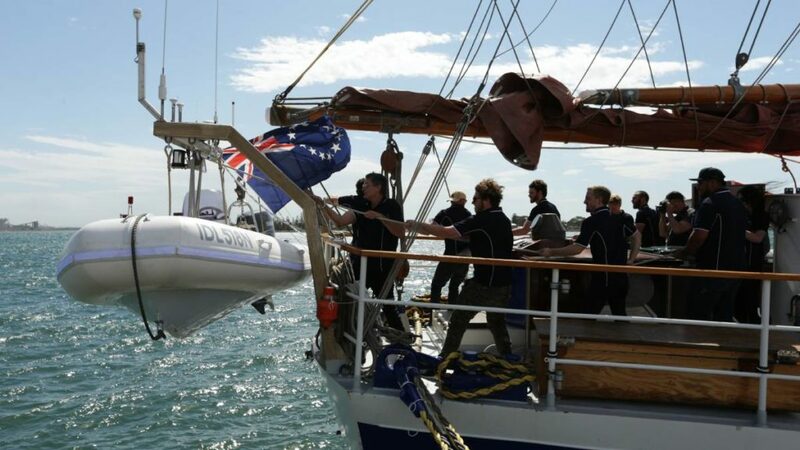 The Ruach arrived in Newcastle in February, and its crew accepted a key to the city in August. Youth With a Mission (YWAM) Ships Newcastle managing director David Stephenson said the group hoped to expand medical services through the Ruach. “With such strong medical infrastructure and training services here in Australia, we have a great opportunity to collaborate with the government and people of Papua New Guinea in delivering quality health care,” Mr Stephenson said. Travelling via Townsville on its way north, the vessel is based in Papua New Guinea until 2018, when YWAM’s services are scheduled to be developed more fully.